Discussion in 'Introductions' started by Summer, Dec 1, 2016. Hello fellow mums. I am Summer and I am 18 years old. I just gave birth two months ago to a lovely baby girl named Autumn. Yes, her name is Autumn, I named her so she could be connected to my name. I got pregnant at an early age and this is my first born. I am just so happy I came across this forum because I badly needed some information and advises in taking care of my child. My parents lived far from me and me and my husband are living in an apartment and kind of new in this place. I hope to be friends with other mums here and hoping to be able to a wise first time mum as well. Summer and Autumn! What a pair! I love how your name connects with each other. Maybe in the future, you could have a boy and announce Winter is coming. Sorry, I have a weird sense of humor. But I do adore your names. Welcome to the forum! Hi Summer! Welcome to the forum. I am looking forward to hear your unique experiences and opinions. Have fun! Hi Summer and welcome to our growing community! Thanks for sharing your story with us We're glad to have you on board and we are very happy to help you through raising and taking care of your first child. Hi Summer! I am new here as well. Despite our age difference, you are way ahead of me because my baby is still inside. So do share your tips as you go along the way. Hi there Summer! I like your name ao much! Sounds so vibrant and happy and free! You can browse through the topics we already discussed in the past and share your POV too! Hope you enjoy the forum as much as we do. Thanks everyone! I feel so welcomed here. Believe it or not, we are actually going to name our future son Winter. We only want two kids, and hopefully we'll have a boy. We haven't thought of a name yet if we are to have another girl. Do you have any suggestions? Hi @LizB ! There are a lot of discussions in here that are very helpful in dealing with our experiences and sometimes problems being mothers. I'm pregnant as well, but this is my third. 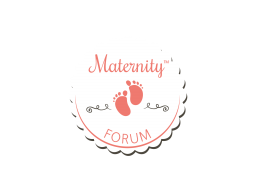 Welcome to maternityforum.com! Thank you, Alex! I am looking forward to all the cool tips. So far, I am picking up a lot! Thanks! In this time that it's cold, we always want a warm weather and if it's hot we want a cold weather, haha. Very weird minds. My friends like my name too. I kinda think my name reflects my parent's love for the season, or maybe they met during the summer. Guess I have to ask them this week.